Missile Inc is a company of drinks. We distribute our products worldwide and occupy a leading position inside the category of refreshments. 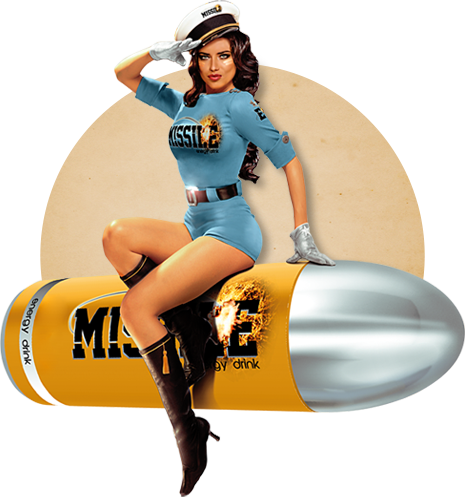 We were born a few years ago with Missile Energy Drink with the intention of providing consumers a new concept of energetic drink and helping them to triumph in their day to day with style. Our packaging is the reflection of this philosophy. Always close to people we have been extending our portfolio of products throught investigation and innovation with drinks have been born to solve new needs in our society. Some refreshments centre in their year of creation and long path. But at Missile we prefer looking at the future and demonstrating you that we continue advancing. All our products are subject to strict quality controls on their composition as well as their production; in addition they promote healthy habits among our consumers and make them feel good. At Missile Inc we think that achieving a goal is just a question of and our new products Missile Black, Natural Lemon Tea, Blue and Orange are the proof of it. Missile Inc bets on the future. That’s why we develop policies of responsibility and environmental sustainability that aim at its protection and conservation. Great part of the ingredients that we use come from nature; for this reason our production model is a perfect balance between growth and sustainability. 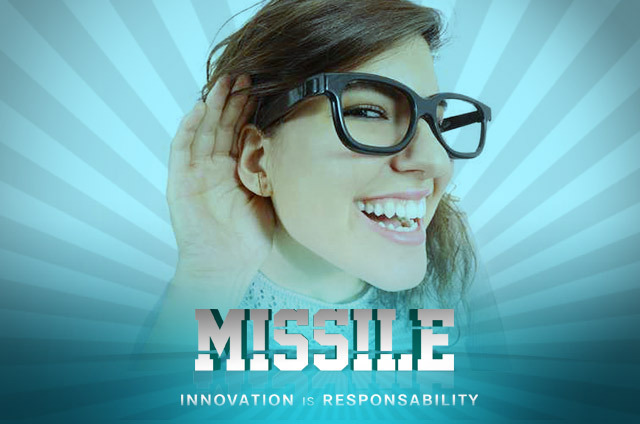 Missile Inc believes in people, in their power for self-improvement. Because of this we put so much effort in connecting with their needs and offering them an effective response that will help them to achieve their goals. In addition we realize several actions of Social Responsibility that bet on the creation of second opportunities. Energetic drink with unique flavor and plenty of shades. Carbonated, fruity, pasteurized and with all the stimulant components that you need to win in your day to day; you can count on its vitamins B2, B6 and B12 which allow to take care of yourself while you enjoy its intense energy. 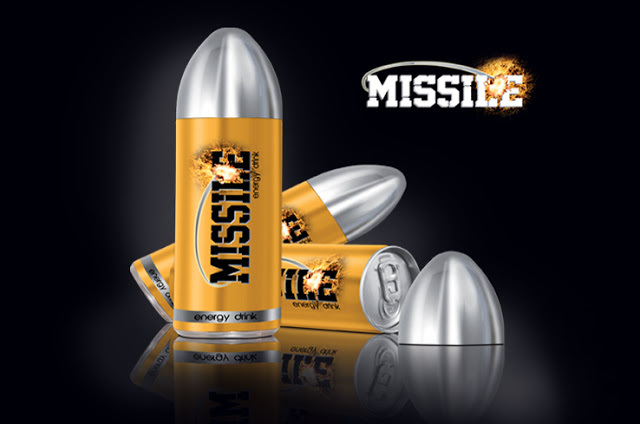 Missile Energy Drink was born a few years ago with the intention of offering a new concept of energetic drink to the consumers and today it is the brand emblem of our company. Its innovative packaging, with its original closing lid, is just the beginning of an authentic explosion of energy that you will experience for hours. Improve your performance. Go further. And don’t let anybody pass you by on your way to your goal! It is neither an energetic drink, nor a complement for the daily practice of your sport. Missile Orange and Missile Blue are born simply to make you feel good. Its composition which is rich in mineral salts has been designed to help your organism to recover the mineral balance and suitable rehydration in those moments in which you lose water because you have realized any kind of effort, from sport or other type. But not only that. Its incredible flavor soft and sweet but full of nuances make it the perfect drink for any time of the day and of the night: Orange and Blue are the suitable drink for all these situations in which you want to feel good. Orange or Blue: Choose your favourite one! If you are passionate about the unique flavor of Missile and you also like to take care of yourself, we have good news for you: Missile Natural Lemon Tea, our new refreshment elaborated with tea and lemon extract. Open the can and dive into a unique experience full of nuances; in an intense, exquisite flavor tinted with subtle and fruity aromas. Its soft texture and remarkable color make it completely irresistibly. Enjoy its refreshing power while you look after yourself and connect with the tastiest and healthiest of Nature. Missile Inc has a special commitment with innovation, since we understand that it is the only way to advance and to continue being leaders. In addition, allows us to be closer to people and their needs. A few years ago our corporation came to the market by the hand of Missile Energy Drink, and we did it with a sole intention: to offer a new concept of energy drink to the consumers completely innovative and different from what we had seen up to this moment in this category. Our packaging, image, composition and flavor were the best proof of the goal we had set ourselves as an organization and that we continue supporting today. This mission impregnates today our brand and has spread in our portfolio of products. Missile Black, Natural Lemon Tea, Orange and Blue take in his DNA its commitment with investigation and development. The company evolves and we must be close to the people. And we cannot think of a better way other than the innovation to obtain it. 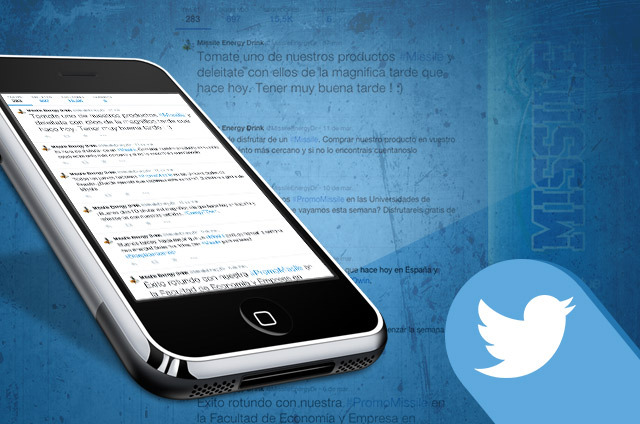 DON’T YOU FOLLOW US IN TWITTER YET? WHAT ARE YOU WAITING FOR?